An urban park, city park, municipal park or public park are all synonyms for a park located within a city to offer recreation and green space to residents and visitors of the city. Urban parks typically include playgrounds, gardens, hiking, running and biking trails, public fitness equipment, sports fields and courts, picnic facilities and more. Located at the center of Manhattan in New York City, this famous urban park was opened in 1857. 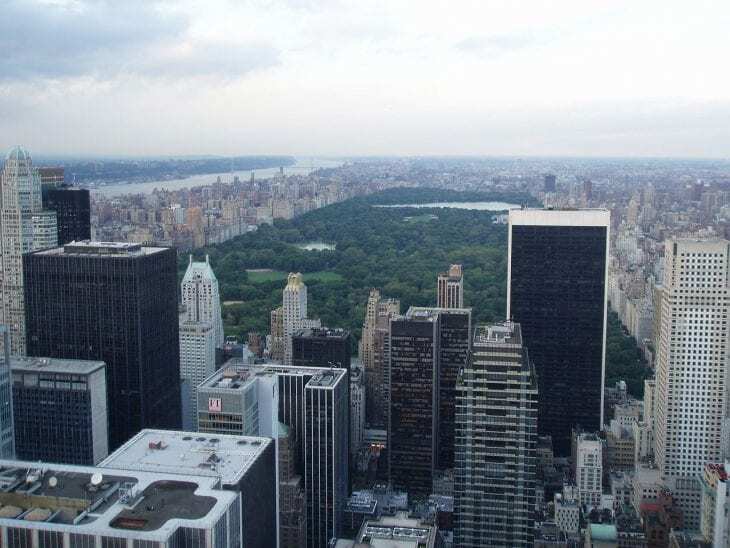 Central Park is the most visited urban park in the United States with 35 million visitors each year. It spans over 800 acre with many beautiful features like Belvedere Castle, the Central Park Reservoir, Bethesda Fountain and many more. A large city park in central London, and most famous for its Speakers’ Corner, this urban park is a beautiful green lung in the center of the busy city and a great place to pass several relaxed hours. A garden complex with architectural elements located in a hill in Barcelona. Designed by Antoni Gaudí and built in the years 1900 – 1914, it spans over 17.18 ha (0.1718 km²), which makes it one of the largest architectural works in south Europe. It is a UNESCO World Heritage Site and a great place to relax from the urban noises of the big city. Also known as Parque Tres de Febrero, this beautiful park is probably the largest and most famous of Buenos Aires parks and gardens. The park pathways are always busy with joggers, rollerbladers and cyclists. Families and couples enjoy outdoors picnic and sunbathe. A small lake in the center of the park is used by paddle-boats and rowboats. During the weekends the park is filled with entertainers and on Sunday morning there’s an outdoor market. A small 1.64 square kilometer (400 acre) nature reserve near the centre of Singapore, located on the slopes of Singapore’s highest hill at a height of 163 metres. The park is just 12 km from the Singapore’s central business district but once you’re in it, you forget all about the busy city and enjoy this beautiful small patch of rainforest. Despite its small size, it is considered one of the most productive pieces of nature in the country. This wonderful urban park covers more than 2,400 acres in Lisbon. Many tourists and local residents come to the park to take a glance at the beautiful skyline of Lisbon that is visible from the park, but Monsanto Forest Park is also a heaven for nature lovers. Trees cover much of the park, and efforts have been made to manage both plant and animal species. 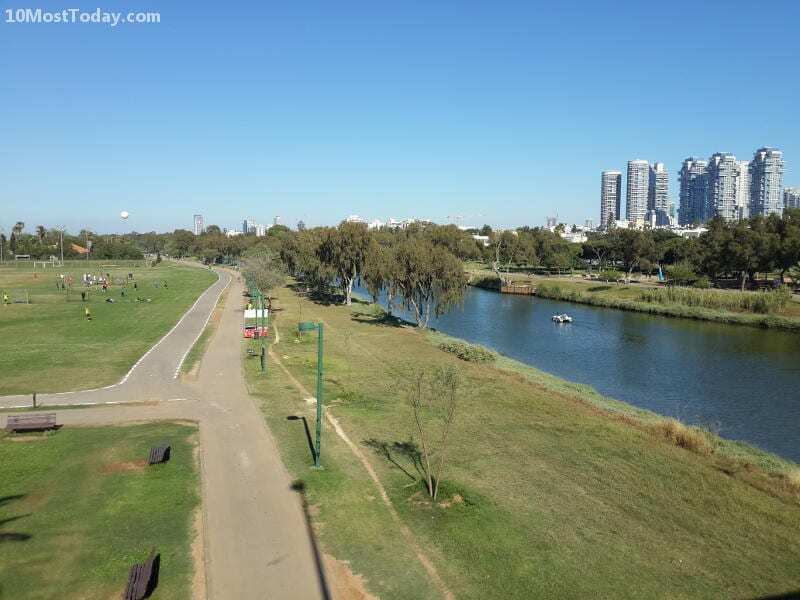 A large public urban park located within Tel Aviv with 16 million visitors annually. The park includes extensive lawns, sports facilities, sports courts, botanical gardens, an aviary, a water park, outdoor concert venues and lakes. This big green lung in the middle of the busy city is always packed with joggers, cyclists and other visitors just taking a break from the loud urban noises and skyscrapers views and replacing them with views of paddle boats and sounds of singing birds. A 1,750 acres urban park in Dublin. Phoenix Park is one of the largest city parks in Europe. The park includes Dublin’s Zoo, big green lawn, woodland, many historical and religious monuments and an old fort. Several hundreds of Deer live within the park’s boundaries as well. The Luxembourg Gardens park is the garden of the French Senate, which is itself housed in the Luxembourg Palace. The park is the second largest in Paris. Visitors here can picnic or stroll leisurely among beautiful lawns, formal gardens and fruit orchards that feature many artistic statues and fountains. There are also jogging paths, tennis courts and fitness equipment. This huge city park is located in the mountains of Santa Monica and covers over than 4,000 acres. The park includes the Los Angeles Zoo, the Griffith Observatory, golf courts, concert venues and many many hiking trails. The park offers a wonderful panoramic view of the metropolitan below it and is considered a top attraction of LA. It is loved by both the city residents and tourists coming to LA for the first time. very nice and excellent work,i liked the quality of contents so much. thanks you once again. it is cheating but even no any1 knw everything.